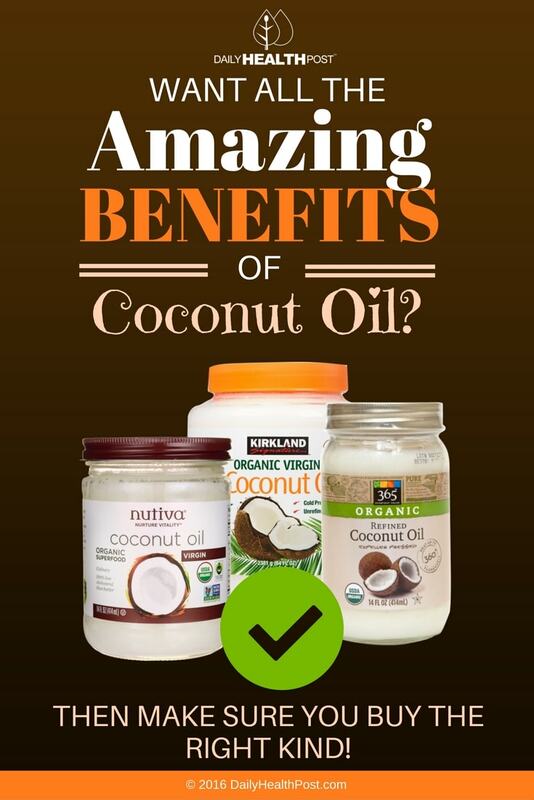 Want All the Amazing Benefits of Coconut Oil? Then Make Sure You Buy the RIGHT Kind! We’ve been hearing a lot about coconut oil lately; whether it’s about the oil’s value in the kitchen or its healthy source of fats, coconut oil is the health food that never gets old. It’s nutritious for the entire body, inside and out, the oil is known to boost metabolism and provide a host of antioxidant, anti-inflammatory, anticancer, and antibacterial compounds, primarily derived from its lauric acid (1). But depending on the kind of coconut oil you use, you’re not guaranteed to get all these benefits. There are two primary kinds of coconut oil: virgin and refined. Virgin coconut oil (CO) hasn’t been adulterated in any way and smells and tastes like coconuts. Can be heated up to 350° F without burning. Made from fresh coconut meat that has been cold-pressed so that only the oil remains. Produced using “copra”, the coconut meat that is closest to the shell; it’s virtually inedible until it’s processed and refined (3). The processing for refined CO normally doesn’t affect the medium-chain triglycerides (fatty acids) content of the oil, so it can be just as healthful a cooking oil and beauty aid as virgin CO. Regardless of which coconut oil you choose, read the label to ensure it is the real thing, devoid of any genetically-modified organisms or additives. Made without hexane or any other chemicals; hexane is a harmful solvent made from crude petroleum used to extract oils from plants and as a cleaning agent. The Environmental Protection Agency’s website states: “Acute (short-term) inhalation exposure of humans to high levels of hexane causes mild central nervous system (CNS) effects, including dizziness, giddiness, slight nausea, and headache. Chronic (long-term) exposure to hexane in air is associated with polyneuropathy in humans, with numbness in the extremities, muscular weakness, blurred vision, headache, and fatigue observed. Neurotoxic effects have also been exhibited in rats.”(4). Always make sure that it is steam-refined, rather than by any other method to avoid unnecessary chemical exposure. 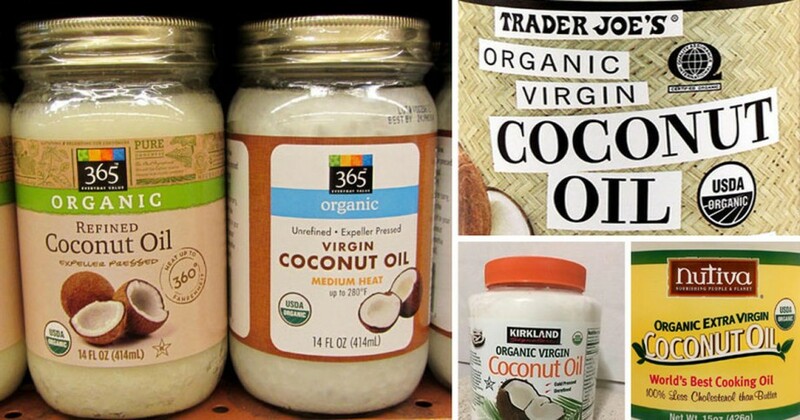 Another kind of CO you may find at the grocery store is liquid coconut oil (LCO). In its natural state, CO is a soft solid and becomes liquid with the application of heat. For some, LCO is more convenient as it doesn’t require melting before use. Be aware that manufacturers keep it liquid by refining the oil and removing its intrinsic lauric acid. Half of natural CO is comprised of lauric acid—remove that, and you remove the fatty acids that make CO such a nutritious source of fat. Lauric acid is uncommon in the plant world and is the same medium-chain triglyceride found in mother’s milk (7). If possible, always buy certified organic virgin coconut oil for your cooking and skin care needs. Latest Headlines » Wellness » Want All the Amazing Benefits of Coconut Oil? Then Make Sure You Buy the RIGHT Kind!